We recently welcomed two new members of the KGOU news team – Host/Content Creator Claire Donnelly and Digital News Editor/Reporter Nomin Ujiyedin. Claire is a graduate of the University of Virginia, with degrees in literature and Spanish. She received her Master’s Degree from the Medill School of Journalism at Northwestern University in Chicago. Claire’s work experience includes stints at WBEZ in Chicago and WAMU in Washington, D.C.
Nomin graduated from Rutgers University, where she majored in economics and political science. She earned her Master’s Degree from the City University of New York Graduate School of Journalism. Nomin previously worked in the newsroom at WNYC, the nation’s largest public radio station. Nomin and Claire are excited to be in Oklahoma – producing on-air, online and social media content. 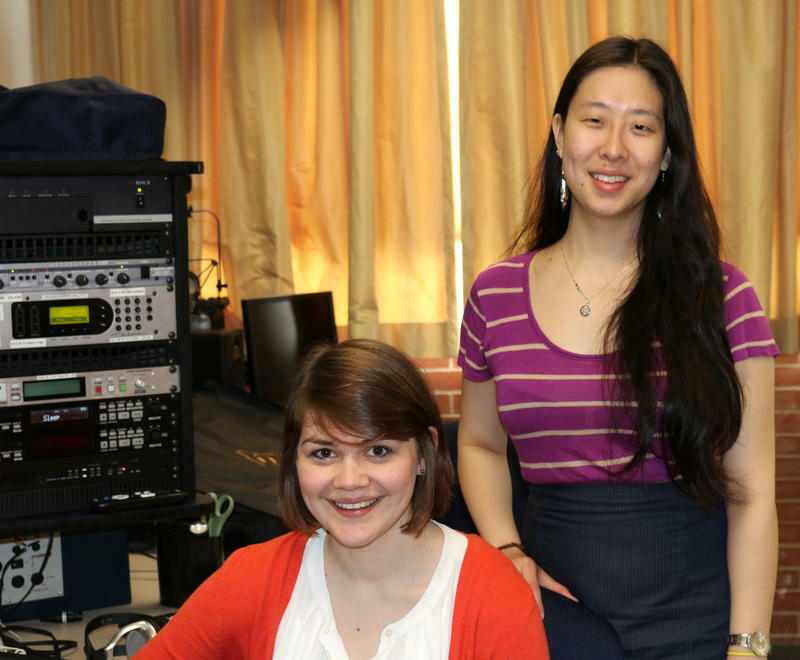 Claire and Nomin bring new voices and perspectives to KGOU news and they’re already making an impact.